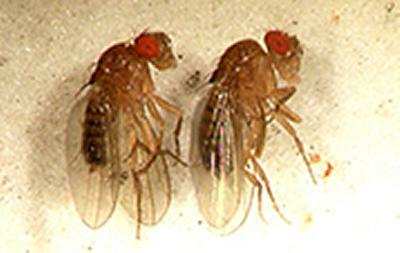 “Fruit flies are often used as model organisms to understand fundamental problems in biology,” say Professor Philip Newland, Professor of Neuroscience at the University of Southampton and lead author of the study. “75 per cent of the genes that cause disease in humans are shared by fruit flies, so by studying them we can learn a lot about basic mechanisms. The researchers put fruit flies in a Y-shaped maze, with one arm of the maze exposed to an electric charge and the other receiving none. They found that the flies avoided the charged chamber and gathered in the non-charged arm. Interestingly flies with no wings didn’t display this behaviour, and flies with smaller wings only avoided higher charges - suggesting it is the wings of the fly that are involved in detection and are affected by the fields. Professor Newland explains: “When a fly was placed underneath a negatively charged electrode, the static field forces caused elevation of the wings toward the electrode, as opposite charges were attracted.